Last week I purchased some ground chicken but while buying I was not sure what I am going to do with that. I wanted to use as stuffing for any dish but then I thought to cook in different way. So finally I prepared some easy KEEMA MATAR with the ground chicken. KEEMA MATAR is a very famous North Indian dish but most of the time it is made with ground mutton or lamb. I just used chicken instead of any red meat, the taste was really good. I know all my chicken lovers friends going to love this dish. 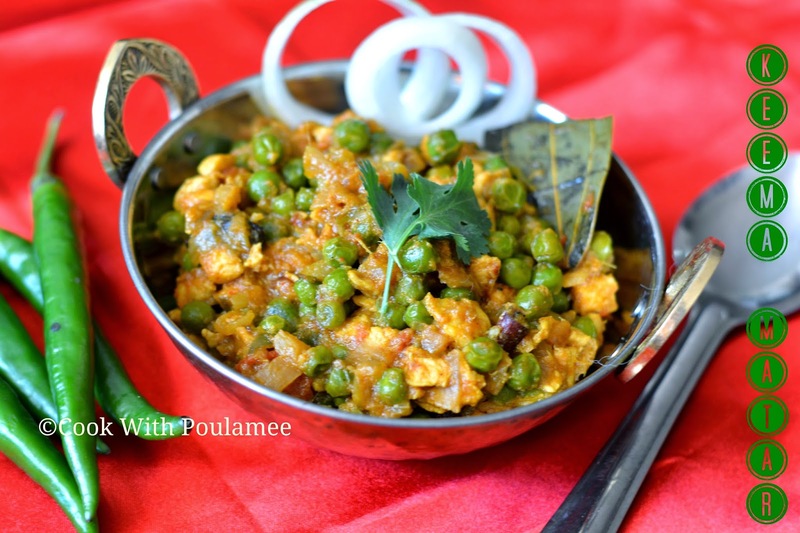 I just cooked the ground chicken with lots of spices and after removing from the flame I added some frozen peas. 5.One table spoon ginger garlic paste. 6.Turmeric powder, Red chili powder, Cumin Powder, Coriander powder Garam Masala (half tea spoon of each item). 7.Black cardamom: 1, Green cardamom: 1, Bay leave: 1, Clove: 3: Cinnamon stick: 1 small. 8.One tea spoon beaten yogurt. 9.Salt and sugar as per taste. In a heavy bottomed vessel add two to three table spoon of canola oil allow it to hot, now slowly add all the whole garam masala and saute for few seconds. Now add the chopped onions and some sugar and cook till it transparent. Now add the ginger garlic paste and saute till the raw smell goes off, now add all the spices powder and cook for few mints. Now add the minced chicken with some salt and cook in high flame till the chickens are tender now reduce the heat and add the chopped tomatoes and cook with a lid. Now remove the lid and add the beaten yogurt and mix well and cook for another couple of mints or till the oil come out from the chicken. 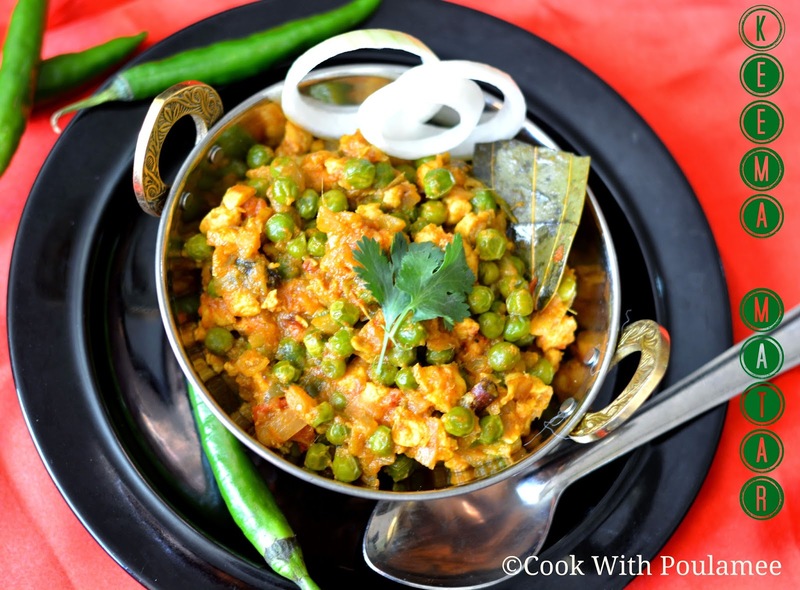 Now add the frozen peas and mix well, and finally add the chopped coriander leaves and mix well. Cook in medium heat for few mints, now remove from the heat. 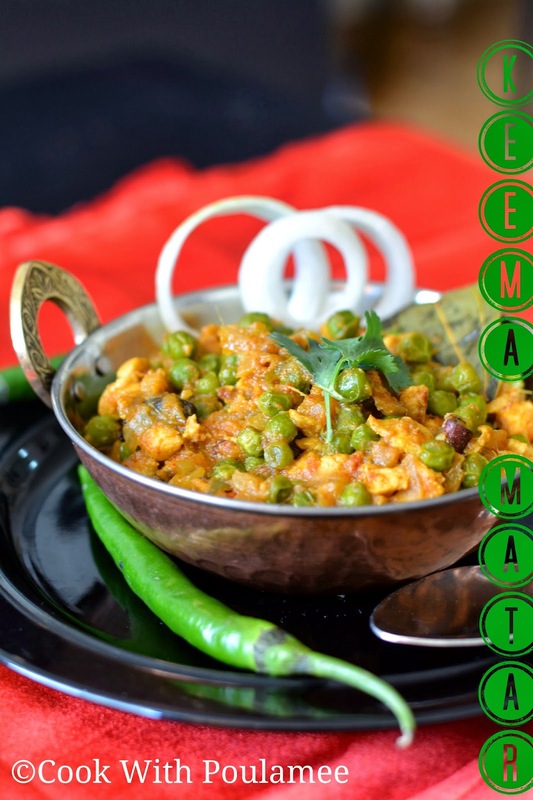 Your easy and yummy KEEMA MATAR is ready serve hot with plain roti or chapatti.